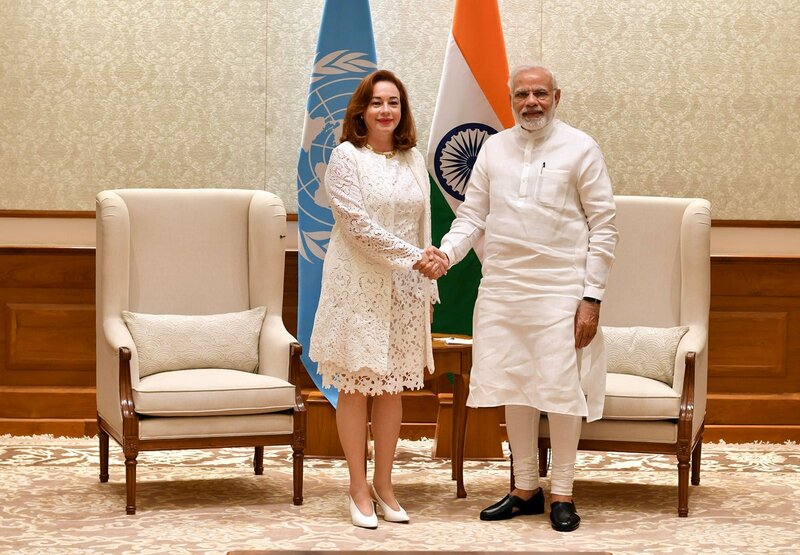 President-elect of the United Nations General Assembly Maria Fernanda Espinosa Garces called on Prime Minister Narendra Modi in New Delhi yesterday. Prime Minister congratulated Ms. Espinosa on her election to the post of President of the 73rd UN General Assembly. Mr Modi assured her of India’s full and constructive cooperation in discharging her new responsibilities. Ms. Espinosa shared her priorities for the upcoming session of the UN General Assembly. A PMO statement said, the two leaders discussed the need for stronger UN action on major global challenges including terrorism, United Nations reform and climate change.